These shots of Diana Vickers (above) and Scouting For Girls (below) were taken at the iTunes Festival at the Roundhouse on Wednesday night. Click on each image to launch a flash slideshow of each artists. Diana Vickers initially came to public attention as a semi-finalist on the fifth series of British talent show The X Factor in 2008. Her debut album, ‘Songs from the Tainted Cherry Tree’ was released earlier this year achieving number 1 in the UK Albums Chart where the album has sold over 100,000 copies to date. 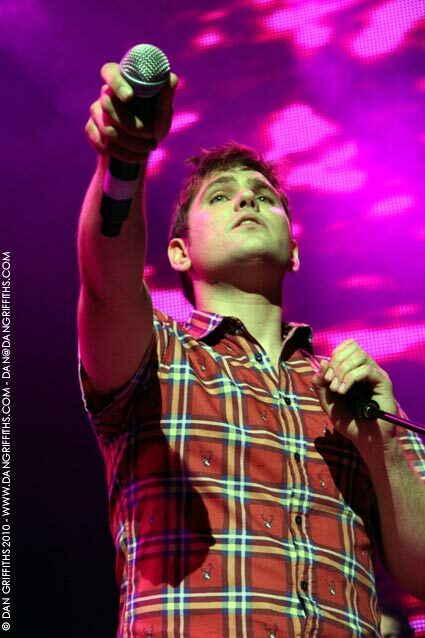 Scouting for Girls were nominated for three BRIT Awards in 2009 for ‘British Breakthrough Act’, ‘British Live Act’ and ‘British Single’. Formed in 2005 by Roy Stride, Greg Churchouse and Peter Ellard. Stride and Ellard met in the Cub Scouts and Churchouse met Stride at school. The name Scouting for Girls is a play on the words of the Scouting for Boys handbook first published in 1908 for the Scouts, which provides boys instructions on good citizenship.